LRAD 100X™ | Defenshield, Inc. 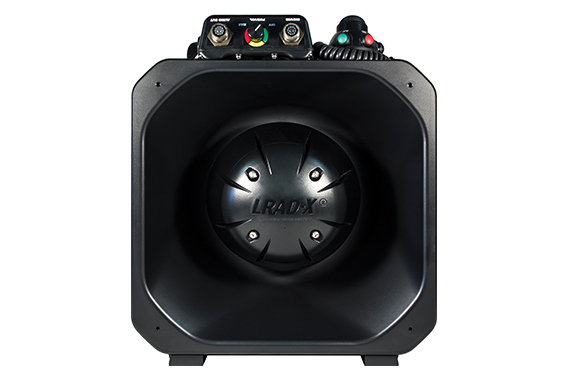 In cooperation with LRAD® Corporation, MDFPs are available with state-of-the-art long-, medium-, and near-range acoustic hailing devices to warn and communicate to crowds, individuals and potential vehicle/vessel threats over distances up to 3,000 meters. These acoustic devices broadcast warnings and determine the intent of potential threats, allowing security personnel to execute proper escalation of force (EOF) protocols from safe distances.